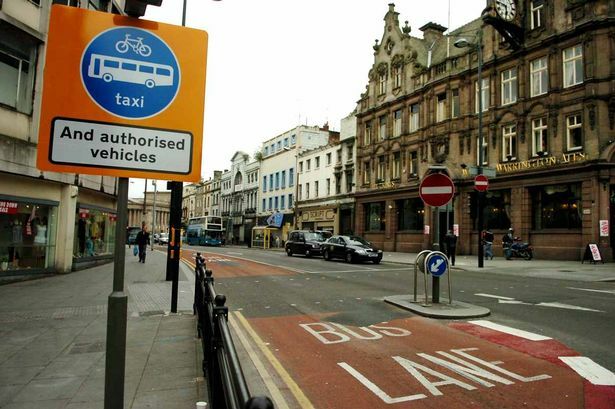 The controversial suspension of Liverpool bus lanes began on Monday the 21st October. Over the weekend council officers will be installing electronic signs which will tell motorists that if they drive in the lanes they will not face fines. The trial suspension will begin at 12.01am and last for nine months, during which time the council will lose around £700,000 of income the fines generate. But while Mayor Joe Anderson said it isn’t fair to treat drivers as cash cows, opponents to the plans say they will increase pollution and congestion. Bus companies and taxi firms are among those objecting to the idea. It has even prompted opposition Liberal Democrat leader Cllr Richard Kemp to say the move will be a "complete mess" that will "probably kill people". Mayor Anderson said: “I have asked for this trial suspension so that we can explore what benefits, if any, bus lanes are bringing to our city. He admitted that while the council did not have “extensive data” about the impact of bus lanes on traffic he said some evidence suggested they were increasing congestion. He also said statistics showed the number of people using buses had not increased since the 26 lanes were introduced in the mid-1990s. Alternatives are currently being explored by the council, including high occupancy vehicle (HOV) lanes to reduce congestion. Vans and lorries will not be allowed to stop for loading or unloading on them. Signs pointing out bus lanes will be removed over the coming weeks and markings will be covered so if the lanes are reintroduced, the council can keep costs down. Opposition Liberal Democrat leader Cllr Richard Kemp said there was frustration that none of the questions put to the council at a select committee have been answered and won’t be until the Mayoral select committee on Wednesday, two days after the trial begins. Cylclists, including former deputy leader of the council Derek Hatton, have warned that they fear people who use the lanes because they keep them a safe distance from lorries will be put at risk. Taxis and bus companies have also opposed the plans.